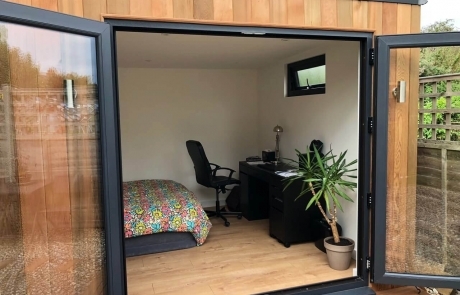 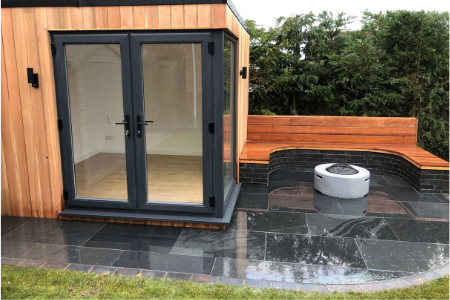 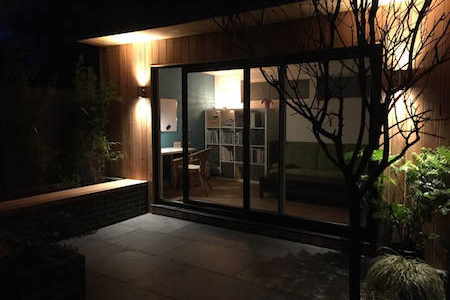 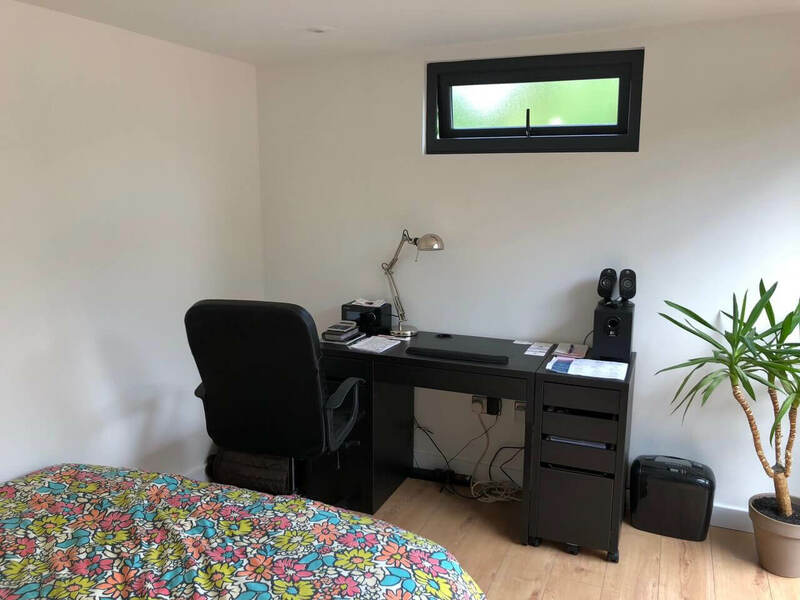 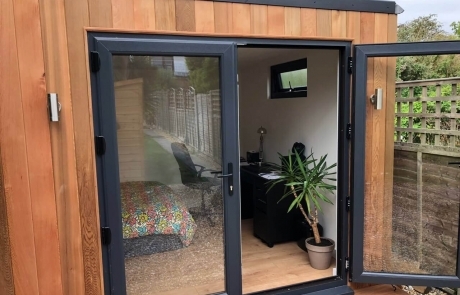 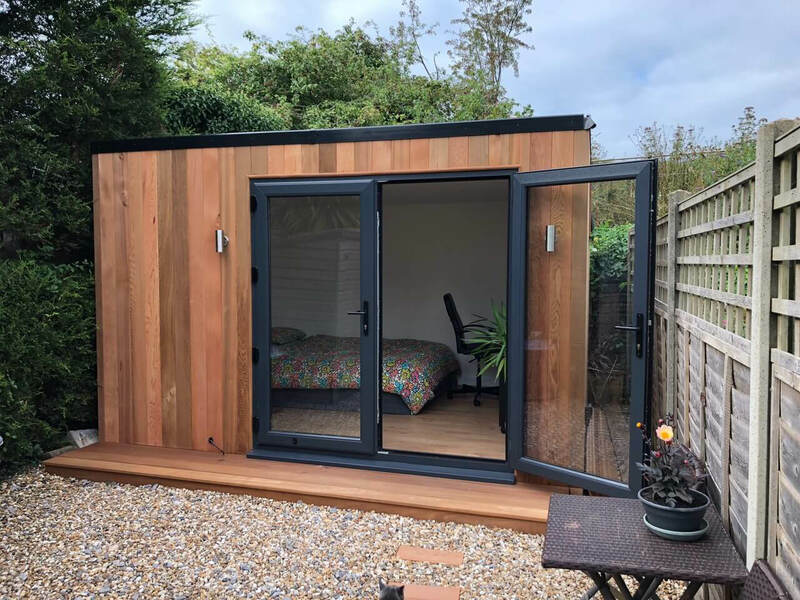 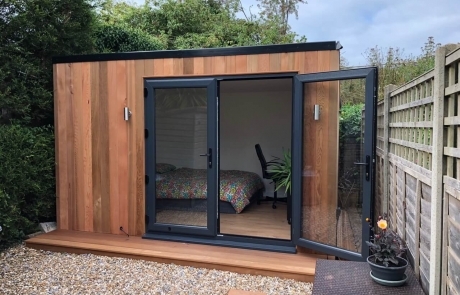 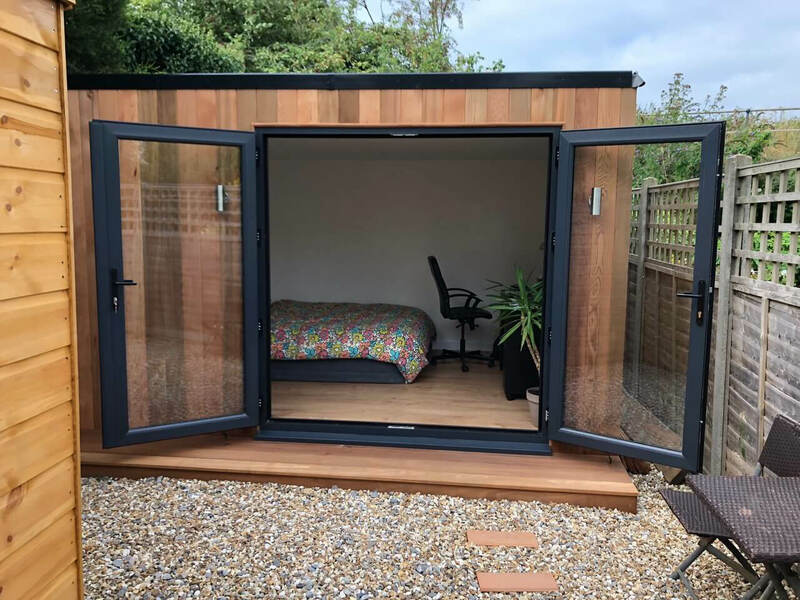 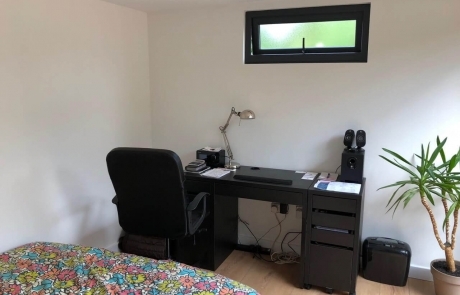 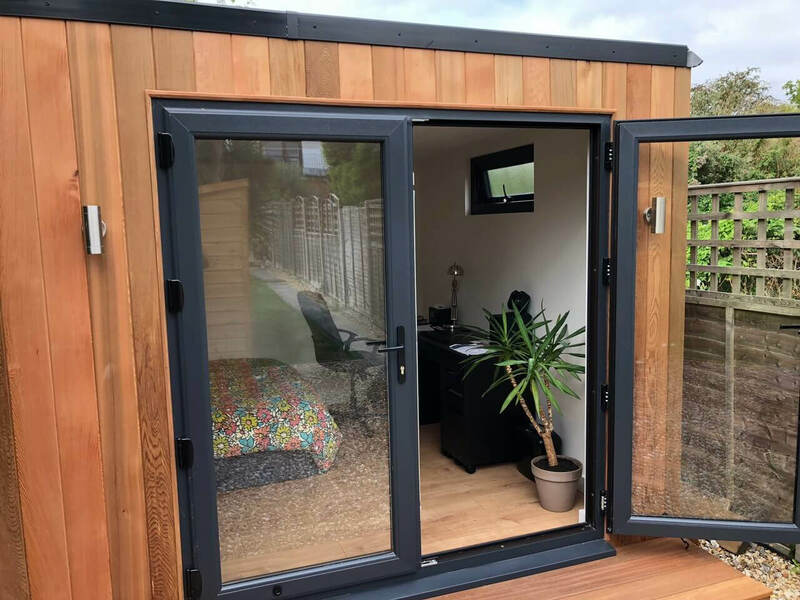 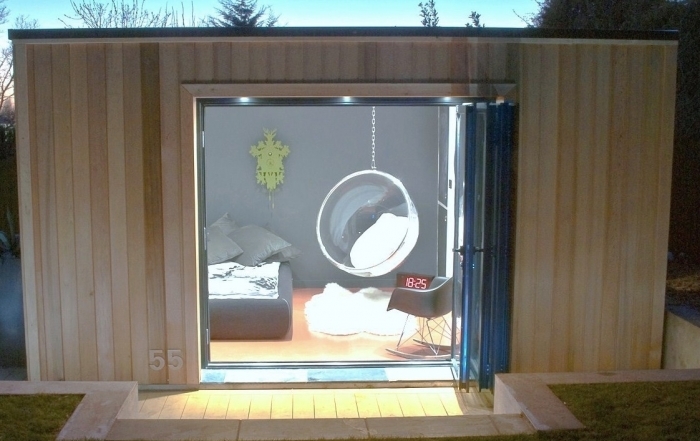 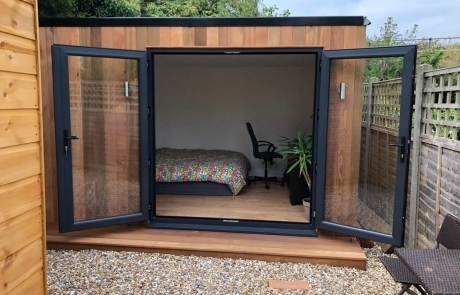 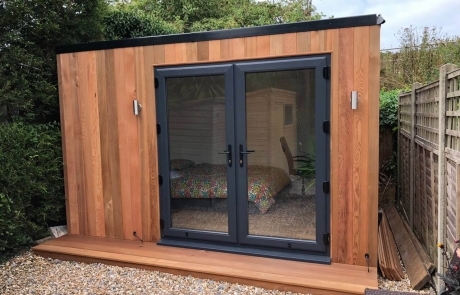 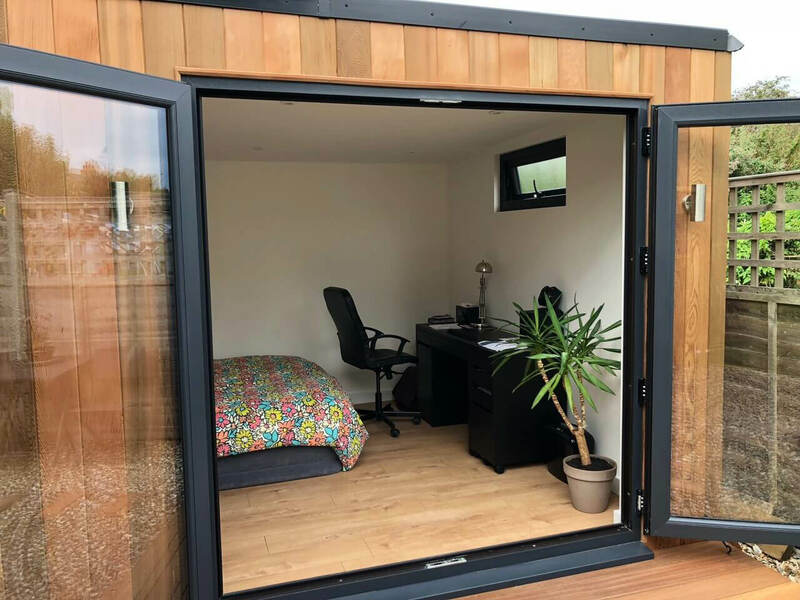 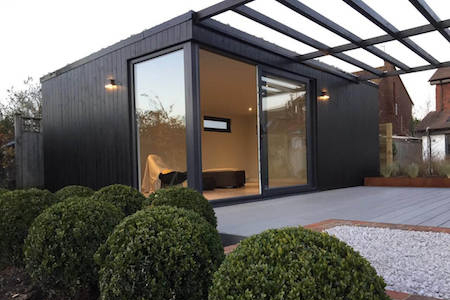 Daryl asked us to build him a garden room which could be used as an office and guest room for his home in Shoreham-by-sea. 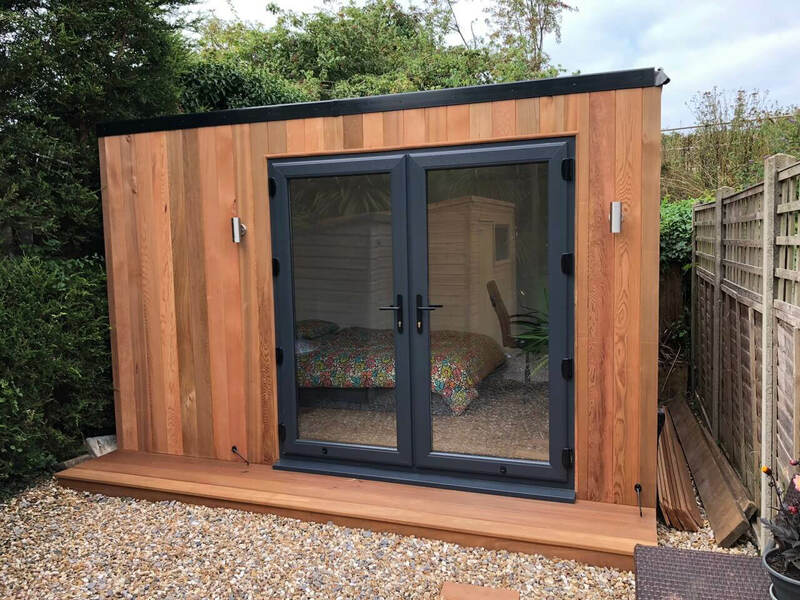 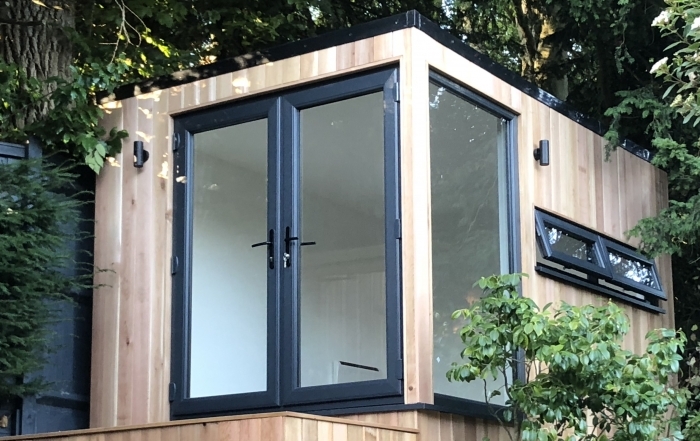 He decided on the Astana design room (3.7m x 3.1m) with dark grey French doors, a full length picture window to the side and a top hung window to the side to maximise natural light. 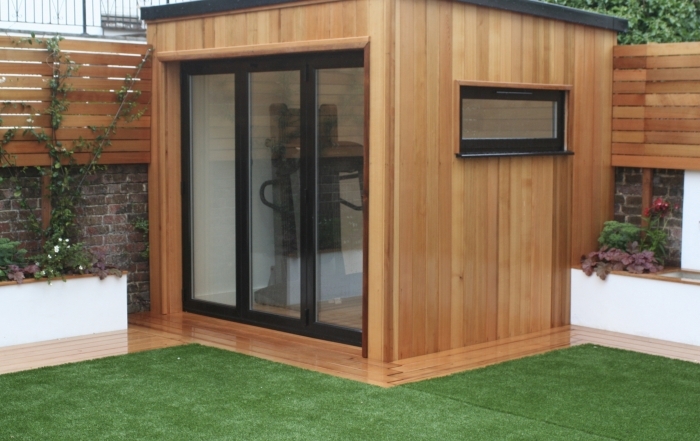 The Western red cedar cladding is complemented by the Balau hardwood decking area extending along the front of the studio.